Have a delicious and healthy start to the day with our continental breakfast from 7 a.m. to 9:30 a.m. Experience the difference at Hotel du Chemin Vert Paris, close Pere Lachaise Cemetery and Place de la Bastille. - Night porter.- Restaurants, theatres, cinema, night clubs and gaming room are all nearby. 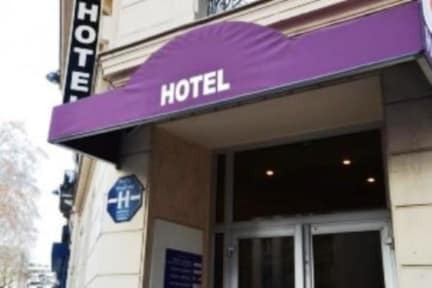 Hotel du Chemin Vert Paris, a charming two star hotel located between Place de la Bastille and Père Lachaise Cemetery in Paris. 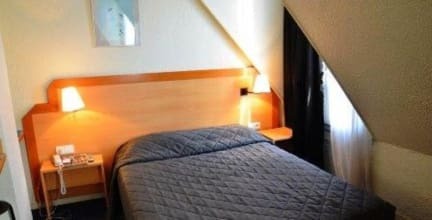 Hotel du Chemin Vert Paris has 30 double, twin and triple rooms, all with air conditioning, baths and showers. All of the rooms have hair dryers. Sit back and relax, watching Canal + or Canalsat, or get your work done efficiently thanks to a direct phone line and free wireless Internet access. The hotel has a lift.